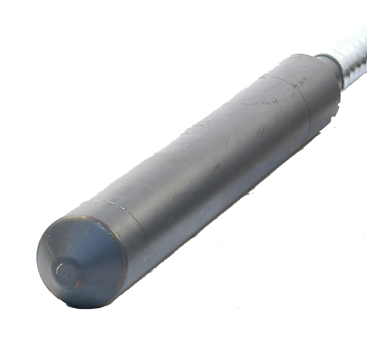 Flexible shaft poker for high vibration power in concrete. Designed to meet the toughest site conditions. Single-piece rotating pendulum generating 12000 rpm. Flexible 5m shaft made of spun steel and steel coil casing hose reinforcement. High quality design for long and trouble-free working life.